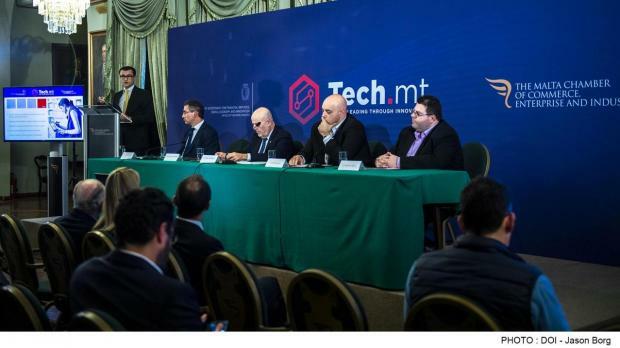 A new foundation - Tech.MT - has been set up by the government in collaboration with the Malta Chamber of Commerce to serve as a marketing arm for a technology-driven economy. Parliamentary Secretary Silvio Schembri said the foundation will deliver the message of what makes Malta 'the powerhouse of economic innovation'. "While the Malta Digital Innovation Authority will be focusing on its regulatory role, through its diligent efforts Tech.MT will ensure that Malta is positioned as an attractive working location within key tech areas as are Cloud Apps, Internet of Things, DLT, Artificial Intelligence, Regulatory Technology and Big Data Analytics," the parliamentary secretary said. Through Tech.MT, Malta will be promoted in foreign fairs, conferences as well as educational institutions such as universities. Tech.MT will be chaired by Mark Bugeja , who said that its vision is based on four main pillars: to promote Malta as a tech centre for innovative technologies within industry verticals, innovate, assist operators and investors, and attract talent.